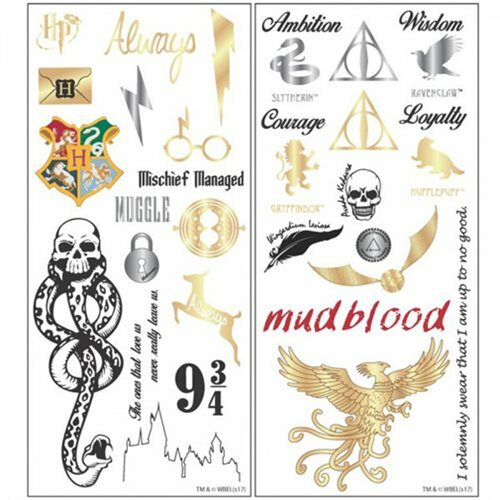 Mark yourself as a fan of Harry Potter with this Harry Potter Temporary Tattoo Set. With a multitude of tattoos, you and your friends can display your favorite symbols on any part of your body! Coming with tattoos representing Slytherin, Ravenclaw, Gryffindor, and more, there is something for all fans to be excited about.